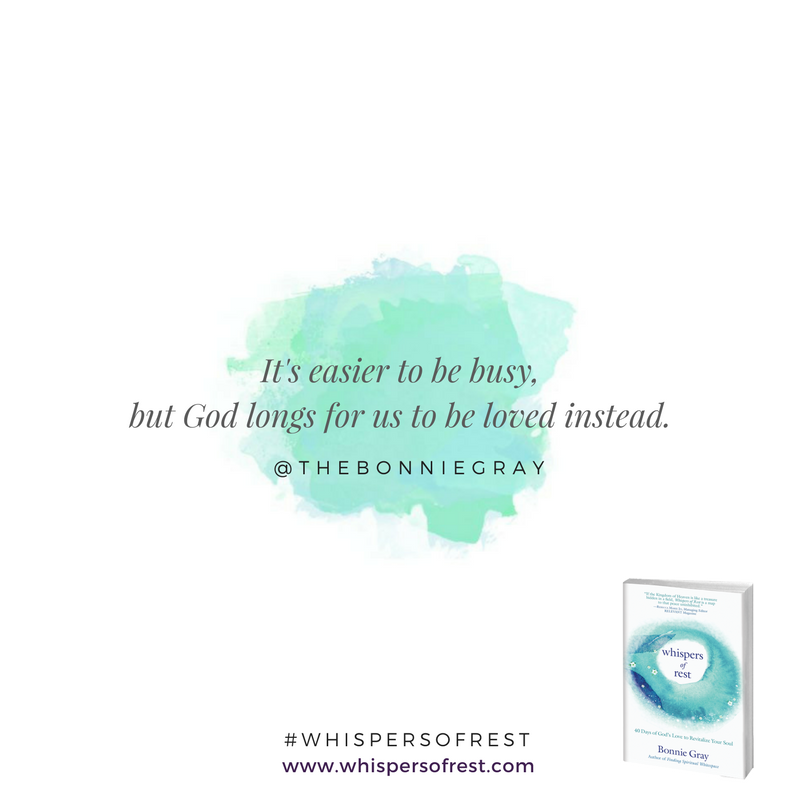 I have been thrilled and honored to be part of Bonnie Gray's new book launch: Whispers Of Rest. I discovered Bonnie Gray's writings through the In(Courage) Blog on Dayspring.com. Her writing style connected with my heart. I felt like she was able to put words to my feelings better than I could even express. Her first book, Finding Spiritual Whitespace: Awakening Your Soul To Rest; was so life giving and restoring to my soul. I told everyone who would listen, about it. I spent time reading and studying for months. Applying the truths and wisdom of nurturing my soul, becoming all that God desires for me. So, when I found out that she was looking for people to participate in her new book launch, I was falling all over myself to sign up! True to Bonnie's heart and style, this new book, Whispers Of Rest is pure refreshment. Click here to buy your copy. Arriving at just the right time when I needed to move out of "production and accomplishment mode", into a season of restoration and rejuvenation. I have underlined, and made notations in each section. With Bonnie's gentle, guiding tone, she ushers me into the presence of Jesus, and the amazing journey of living as The Beloved. I really enjoy how the book is designed. It truly is like a trail guide. 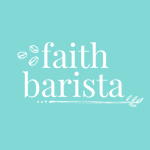 Helping one to stop and notice how The Spirit of God is intimately at work in our lives. With Scripture, mediation & prayer practices, quotes, challenges, and research information, each chapter guides you through a theme for the day. One of my favorite readings was day 14. - Choose Grace. "Your art, your voice matters. Let grace in, not guilt. Don't wait until the critical voices die down." "Grace means we are no longer trying to make up for our weaknesses. Give yourself permission to express God's beauty in you--fully, just as you are. Don't wait to be yourself with God. Not tomorrow when you feel more qualified. Not later, when you are no longer struggling. Don't wait until you're no longer broken." "Stop thinking about grace and put grace into action. Start responding to God's love--instead of other's expectations of what is beautiful or good enough." "It's an automatic response when I want to share something free from my heart--when I'm drawn to do something I want to enjoy. I begin to feel guilty for not doing something earlier--for something I did, didn't do, or did wrong. I beat myself up. I replay my mistakes. I waste enormous amounts of energy reenacting how I could have done it differently. I feel bad. I feel that I am bad. We become afraid to fully lean into that feeling of rest. And joy. Or peace. We might not think we deserve rest or special attention. We might not think we've earned it. We may be afraid to give time and attention to nurture our passion. Am I really worth it? you may silently ask. Yes. You are worth it. You are my Beloved. You are mine. One of the reasons we allow guilty feelings to rule is that we feel safe when we don't try. No one can hurt us if we don't do anything. We can't feel rejected if we never attempt to blossom. We won't have regrets , we tell ourselves. But there is a longing God placed in us that doesn't go away. Every woman longs to dream, to feed her soul and rest. Everyone longs to move beyond coping and surviving. Every woman longs to be loved. WOW! This is where I feel stuck. I continually struggle with feelings of guilt that I put on myself for not "performing up to par". It is hard to know how to balance "promoting oneself", when running a business, and then "pampering oneself" to become renewed, and rested. I am learning to view myself as The Beloved. Asking Jesus how to move forward. Listening to Him when He just wants me to stop and "play" or "rest"...To be thankful for how He tenderly loves and cares for me. When I stop, and rest with Him, I am caring for my soul just as He intends. I am not a machine that only produces. I am made in His awesome image. He is continuing to teach me what living in His image and His presence looks like. "I have no greater joy than to hear that my children are walking in the truth"). My continual prayer as I am growing and learning to live as The Beloved, is to help teach my children and grandchildren that same blessing. Thank you Bonnie, for using your calling, and gifts to encourage other women...even Gramma's on the path of abundant living.